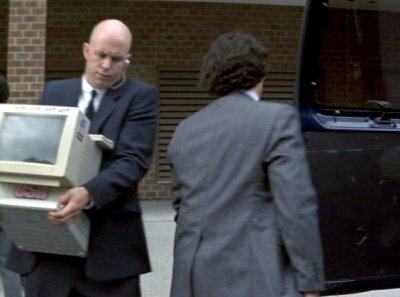 Joey uses his IIGS to break into the Ellingson Mineral Corporation and steal part of a garbage file. The garbage file hides evidence of Eugene's plot, and he convinces the Secret Service to arrest Joey and his cohorts. 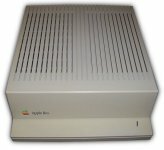 This machine displays graphical capabilities way beyond what the Apple is capable of.